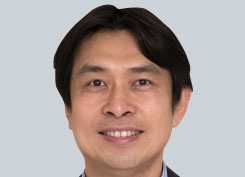 Wei Chuen studied at the National University of Malaysia, graduating with First Class Honours and University Gold Medals. He undertook Radiology training at the National University of Malaysia and Malaya University and underwent further training in Interventional Radiology in Nottingham. He was appointed to Buckinghamshire Healthcare NHS Trust in 2008. His research and teaching interests include novel vascular intervention techniques, training of Oxford Interventional Radiology Fellows and Radiology Registrars and the neuroprotective properties of tocotrienols.